GeekBuddy is included in CIS Pro and Complete versions and users who purchased either of these CIS versions can skip this section and move on to the next section 'Launching the Client and Using the Service'. 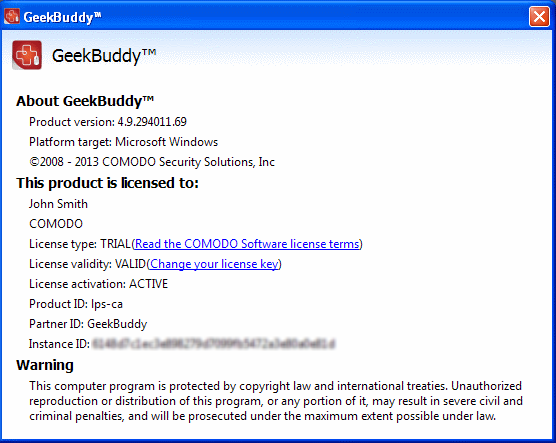 GeekBuddy client is downloaded along with CIS Premium (a free version) with a trial license, but to use the full service, you have to purchase and activate it. 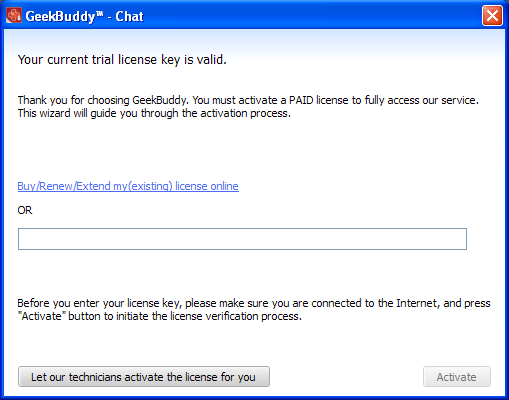 Start the GeekBuddy client by clicking the desktop shortcut icon or from the 'Start Menu'. The 'Activate your License' screen will be displayed. 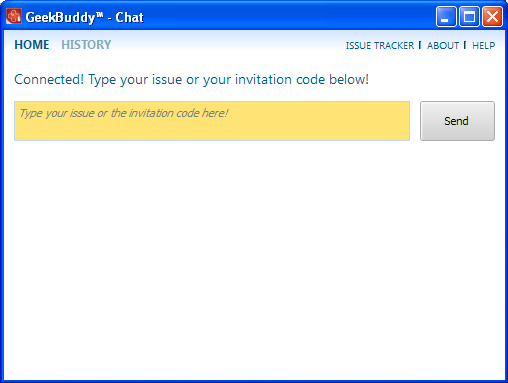 The GeekBuddy Chat screen will be displayed. 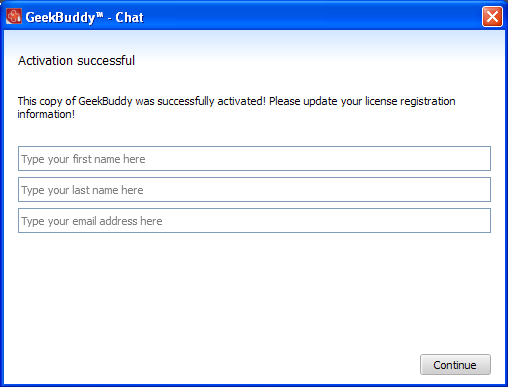 The About GeekBuddy screen will be displayed. Click the 'Change your license key' link in the screen. The 'Activate your License' screen will be displayed. Enter the License Key from your GeekBuddy retail package or the key you received through your email (for online purchases). Click the 'Activate' button or if you need more help on this click the 'Let our technicians activate the license for you' button. 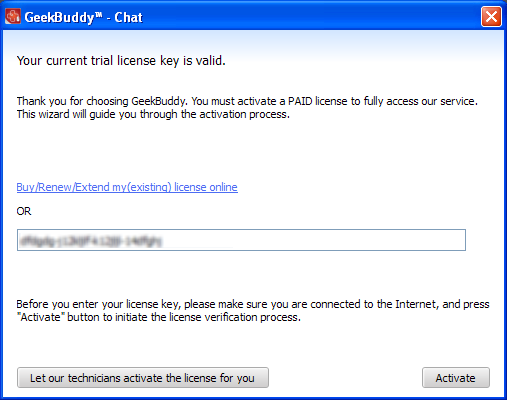 The license key will be checked and if correct, the 'Activation successful' screen will be displayed. Enter the name and email details in the respective fields. 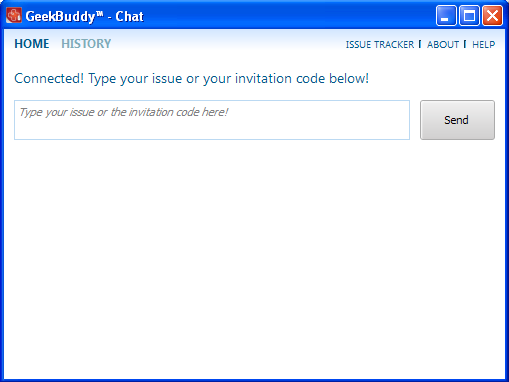 The home page of GeekBuddy will be displayed. Now you can start using it and seek the help of an expert to resolve your computer problems.